PTZ IP security cameras are becoming more popular these days. The reason behind is that these types of camera are quite more efficient due to the remote access and management. One good example of a PTZ IP camera is the SUNBA 601-D20X PTZ IP Security Camera. So, if you are planning to buy this kind of camera anytime soon, then you’ve come to the right place. This is a quick guide for you to know whether this specific product is a great fit for you or not. One of the most popular products of SUNBA is the 601-D20X. It’s an outdoor security camera that features a night vision and PTZ IP functions. But aside from these main features, the camera caters a lot more. Again, if you are planning to buy this camera, you better inspect and consider the features that it can provide to you. It will help you know if this could give you the utmost safety and security that you need. This camera is quite prominent to many homeowners and business owners today. And one possible reason behind its popularity is due to the apparent success of the company. SUNBA is a very young security company. The founded the said company only in 2014. But, the founders claim that they have been in the research industry for quite some time now before establishing. For more than 8 years, the pioneers have been researching about the PTZ video systems. As a young security company, they encourage consumers to engage with them which actually is a good point for most people. And because of these engagements, they were able to produce several PTZ IP cameras today. The 601-D20X is classified as a commercial medium to large size of a security camera. It has a dimension of 15.8 x 9.8 x 9.8 inches weighing about 9.7 lbs. 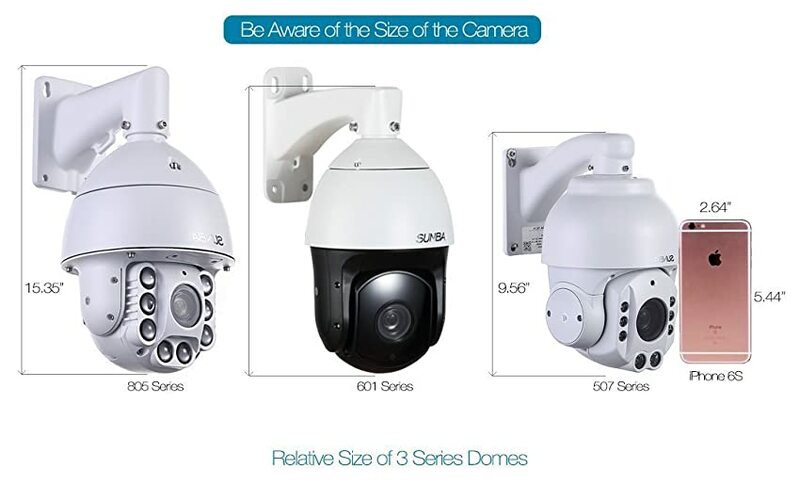 which apparently is the standard size and weight for PTZ cameras. Also, it comes in a white aluminum shell casing and a black-toned center. Since the casing is made out of aluminum, you could say that this is quite durable. Nevertheless, it features an IP 66 grading. This means that the camera and its parts are all weatherproof. So, if your area tends to experience more rain than the usual or much more intense heat than most locations, this camera may last in your hands. Moreover, it has a 2-year warranty. The installation may take a while if you are not a tech-savvy person. But while the package comes with a manual, you may want to check other resources online. Nevertheless, people who are familiar with installing and setting up a PTZ camera will find it quite easy. It is important for you to note that newly purchased SUNBA 601-D20X cameras have a default static IP address of 192.168.1.10. In order for you to set it up, you will need to access your computer for the initial configuration. Without setting this up, you cannot access or manage remotely the PTZ functions. So, it is essential that you do this step. Also, you have to be careful in plugging it into a 15 wattage PoE since most conventional PoEs today come with 15W. It will cause underpower to the camera and would result in constant rebooting. The most appropriate wattage that you should use is 30. The camera of the SUNBA 601-D20X PTZ IP has a 2-megapixel capacity and a 1080p resolution. The images may show a little blurry at times. As for the video, it provides genuine clarity to actual users. The night vision function of this camera is much more reliable apparently. 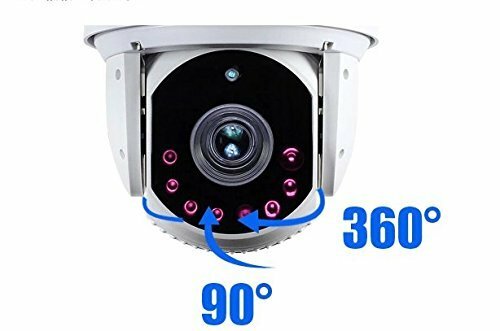 It has an infrared distance that can reach up to 800 feet. Also, it features 4 Osram lights along with the array light and optical lens. Many actual users actually state that it has the superior night vision function in comparison to other night vision cameras on the market. The pan-tilt-zoom of the 601-D20X is praised as well by many users due to its high-speed functions. It can move from 0.01 degree per second up to 120 degrees per second. The pan has a capacity of 360 degrees. As for the tilt, it can provide a 15-degree upward tilt up to the 90-degree downward tilt. This is also a breakthrough in most PTZ cameras today. And the zoom can perform a 20 times optics. It also features an audio system. However, it is only one-way. Users are the only ones who can hear the sound and not both ways. And this can be a downside for most consumers nowadays. Moreover, you need to purchase a compatible microphone since it does not come with a microphone. Also, it must be DC12V. Anything higher than that may cause a huge demand for power and may cause underpower to the camera. This camera features a motion detection function. Users can receive snapshots through email and may see them remotely using the dedicated application. But while it has the motion detector and sensor, it is not very efficient. On the other hand, the dedicated application that you can download to your smartphones can allow you to access and manage the PTZ functions. 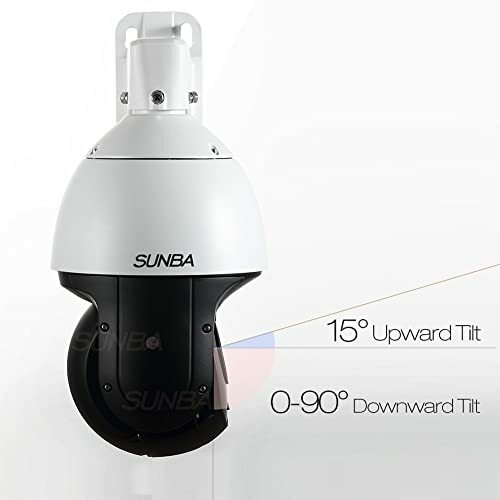 The SUNBA 601-D20X PTZ IP Security Camera is a great PTZ camera. It has the standard size and weight. Also, you can access and manage the PTZ functions through its dedicated app. If you are looking for an efficient PTZ IP camera, this can be a great fit for you. But if you are inclining more on the audio aspect, you may want to try other cameras on the market. Also, if cost is a factor that you largely consider, this may not be the best option. Nevertheless, this camera is a quality kind.